The International Rescue Committee (IRC) is an international NGO that deals with humanitarian issues across the globe. In the United States, they are one of the major organizations providing assistance to refugees, with offices in twenty-two US cities. Among one of their many programs, New Roots is a gardening program that “enables refugees to reestablish their ties to the land, celebrate their heritage, and nourish themselves and neighbors by planting strong roots- literally- in their new communities.” The IRC currently has a New Roots program in six of its twenty-two cities, including New York, Seattle, Salt Lake City, Phoenix, San Diego, and Boise. Because IRC is such a huge organization with a macro-oriented mission, local New Roots programs consolidate with local community organizations to bring about successful gardening projects. New Roots was initiated in San Diego, and it is still the most extensive of all branches. San Diego’s program focuses on five core interrelated areas: healthy and culturally appropriate food security, nutrition and wellness, farming expertise, community leadership, and advocacy and systems change. This interconnected approach creates a “neighborhood-scale food system” that empowers residents as producers, vendors, and consumers of healthy food and builds local economic development. The program currently operates three community gardens in the City Heights neighborhood, a farmers market, a commercial farm business education program, a nutrition education program, and two youth programs. To foster their success, they work with pre-existing programs including San Diego Roots Sustainable Food Project, Victory Gardens San Diego, and the University of California. The first of any New Roots project in the country is the New Roots community farm, which provides space for eighty-five families in the City Heights neighborhood of San Diego. New Roots also operates a smaller community garden with eighteen plots and includes an herbal remedy garden with classes and workshops in traditional healing offered for community members. Additionally, New Roots initiated the New Roots Aqua Farm, a 1200 square foot hydroponics system in an asphalt-covered city lot. This farm includes a closed-loop cycle of sustainably raised and hormone-free tilapia and hydroponically grown vegetables. Farmers have the option of selling their produce at the local City Heights Farmers Market, the country’s first EBT accessible farmers market. Refugees who do not participate in gardening have the benefit of being able to purchase culturally relevant ethnic produce not available in supermarkets. New Roots also funds the Fresh Fund program, which incentivizes EBT, WIC, and SSI recipients to use their benefits at farmers markets. At participating markets, Fresh Fund matches government benefits, which allows participants to purchase double the produce for the same price. To fulfill its mission, New Roots San Diego has a nutrition education program that educates refugees about nutrition as well as how to access emergency healthy foods. They also operate two high school after-school gardening programs that train youth in urban farming and food justice. New Roots Salt Lake City has a very expansive program as well. On pre-existing community gardens spread throughout Salt Lake City, New Roots secures plots for refugees interesting in gardening. They also provide refugees with seeds and seedlings and advise on how to best garden in Salt Lake City’s environment. Since the refugees are immersed into pre-existing gardens, Salt Lake City’s gardeners have the benefit of sharing agricultural skills in a cross-cultural context. Salt Lake City’s New Roots program also operates a food access program that establishes farm stands in low-income communities where many refugees live to buy nutritious and culturally relevent produce, sold by the refugees who grew them. The farm stands accept EBT benefits, and the Fresh Fund operates in Salt Lake City as well. New York and Seattle both have small programs, and information on them is limited. The New York program operates two community gardens in the South Bronx. Although funded by the IRC New York office, the garden was built with the intention of being used by the community as a whole, not just refugees, and has been incredibly successful with integrating many community members from diverse backgrounds into the gardens. The IRC in Seattle operates the Namaste Community Garden in the nearby city of Tukwila. Working in partnership with the St. Thomas Parish, 70 plots are provided for refugees on church grounds. See below, an awesome video about the New Roots program in the Bronx! Out of all the New Roots program, I feel that the program in Phoenix has the most overlap with Huertas. Many of their supports take place in the rural outskirts of Phoenix. Their mission is to promote economic empowerment and food security for over 100 farmers, gardeners, and refugees employed in agriculture. Although they did not specifically reference Latino migrant farmworkers, possibly due to legality issues, I would imagine that many of them are beneficiaries of this program. The program helps teach people how to farm in the harsh desert climate and provides access to farm ownership through business consulting, small loans, and training tools. The Food Security Program improves access to healthy foods in areas where refugees live by working with local food providers and community groups. The Food Security program also offers nutrition classes . The Prickly Pear Food Pantry provides culturally appropriate emergency food assistance in Phoenix. The IRC New Roots project in Boise provides funding and ideas to the Boise Global Gardens program, facilitated by the Idaho Office for Refugees. The Global Gardens program sponsors refugee agriculture projects at eight locations in the Boise area. Specifically, Global Gardens provides garden and farm space for about 100 refugee families, as well as training in horticultural production and marketing. They distinguish between their projects with regards to what is grown for market purposes and what is grown to be eaten by the growers. Five community gardens provide families with proper nourishment, two farms sell to farmers markets, and one farm sells to farmers markets, restaurants, and has its own CSA. Of particular interest to Huertas, the Somali Bantu Community Farm distributes a portion of their food to local food banks, and they grow a mix of African and American crops and have shared hybridized cross-cultural recipes with their customers. Four of the gardens are on donated land from synagogues, churches, and community organizations, and one garden is on an urban vacant lot. All gardens are within walking distance of where the refugees live. Although IRC has a relatively high budget to work with, and refugees are here legally and receive government-supported benefits, Huertas can incorporate many aspects IRC uses into their own development. For example, IRC is not a grassroots organization- it is a marcro-oriented international organization. Thus, they partner with grassroots organizations and pre-existing projects to initiate their own projects. Perhaps, Huertas can partner with larger organizations with more broad goals to push this project forward. Particularly, it may be beneficial to reach out to organizations that reach many immigrant communities around the country to work towards building gardens for migrant farmworkers in Vermont. New Roots | International Rescue Committee (IRC). International Rescue Committee, 2013. Web. 1 Apr. 2013. <http://www.rescue.org/new-roots&gt;. Refugee Agriculture Program. Idaho Office for Refugees, 2013. Web. 1 Apr. 2013. <http://www.idahorefugees.org/home/global_gardens/&gt;. Categories: Similar Projects | Permalink. Location: Nutrition education would be most beneficial if the classes were brought to the migrant farmworkers. Since many of them are undocumented and/or do not have access to transportation, there is a lot of fear and anxiety that exists around traveling and being in public. Time: As with agricultural farmworkers, dairy workers, too, work long hours. Therefore, class times would have to be respectful of farmworkers’ workday schedule. Culture: As one study examining trends in nutrition services at Migrant Health Centers found, it is for “nutrition outreach, education and treatment programs and materials to be effective, they must be linguistically and culturally acceptable and appropriate to the migrant and seasonal farmworkers being served”. Therefore, it would be critical to provide all information in Spanish and fitting to the different Latin American countries from which migrant farmworkers come (Runyan). Materials: Migrant Health Centers which provided nutrition services also noted the importance of education materials. For instance, some centers use “food boxes containing nutrients frequently missing from the diets of local migrants. These boxes include instruction on how to prepare these foods and how to incorporate them into traditional diets.” Others sited positive feedback and results from “poster-size, picture-based materials for display on a refrigerator or on kitchen cabinet doors dealing with calorie-controlled, fat-controlled and sodium-controlled diets.” Lastly, many health centers stressed “that the most successful nutrition education materials were brief, non-technical and based on pictures rather than on the written word” (Runyan). Furthermore, due to the relatively short growing season and long, harsh winters in Vermont, it would also be beneficial to provide materials on how to preserve food, perhaps through canning, during this time. It is certainly great that participants have access to fresh produce during the summer, but that only represents a small portion of the entire year and it would be especially great if food security could be insured throughout the whole year. In an earlier post, I mentioned the fact that many of the nutrition-related health problems migrant farmworkers experience in the United States were not commonly experienced at home. However, exposure to new, less nutritious food and a decreased level of mobility, has attributed to a decline in food security and overall health status among migrant farmworkers. Nonetheless, this indicates the significance Huertas has on migrant farmworkers in Vermont and even a potential greater impact the program could have with nutrition education. “Nutrition.” U.S. Committee for Refugees and Immigrants. <http://www.refugees.org/resources/for-refugees–immigrants/health/nutrition/refugee-nutrition-outreach.html&gt;. Runyan, Donna H., and Patti C. Morgan. “Nutrition and Migrant Health: Trends in Nutrition Services at Migrant Health Centers.” Georgetown University Child Development Center (1987). Categories: Food Security & Nutrition | Permalink. The volunteers and others involved with Huertas often gather with migrant farmworkers in Vermont to not only help plant kitchen gardens, but to cook and enjoy food together. 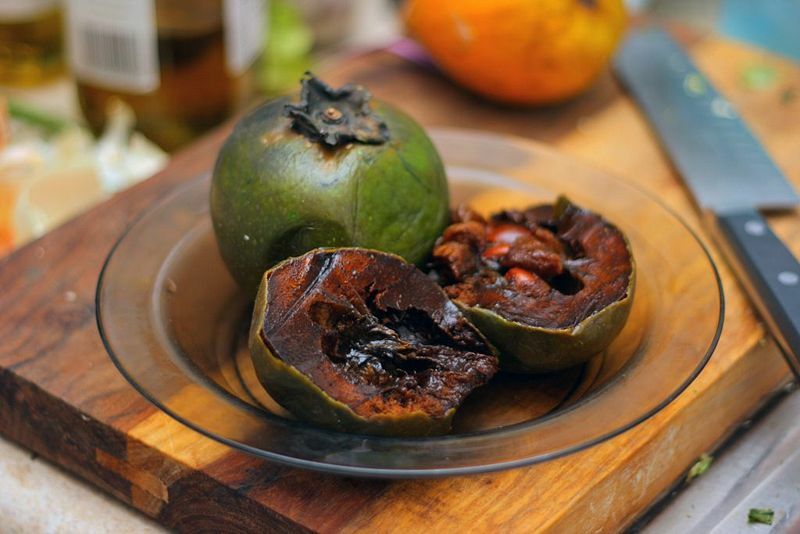 Below are three recipes from Zarela Martínez’s cookbook, “The Food and Life of Oaxaca” that would add unique flavor and variety to the gatherings. All of the recipes contain ingredients unique to Mexico that could be grown in the workers’ kitchen gardens. The ingredient lists and explanations are taken directly from Martínez’s cookbook. Cook and enjoy! “This is one of the most popular Oaxacan rice dishes. There is no substitute for the chepil”(Martínez, 238). Because there is no substitute for the chepil, this dish is a great recommendation for community gatherings and meals among migrant workers and Huertas volunteers. 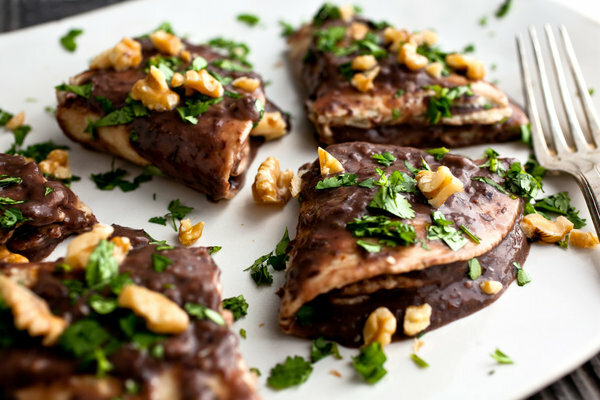 It is an easy dish to make and provides great Mexican flavors to the palate. “In a deep bowl, carefully rinse the rice in several changes of cold water until no starchy residue is visible. Drain thoroughly in a large sieve, shaking to remove as much water as possible. In a heavy medium-size saucepan, heat the lard over medium-high heat until rippling. Add the rice and cook, stirring constantly, until it colors slightly and sounds like sand as you stir it. Carefully pour off and discard any excess fat. Add the garlic and onion; cook, stirring, for about 1 minute. Stir in the stock, chepil, and salt. Cover tightly, reduce the heat to very low, and cook for 15 to 18 minutes. Remove from the heat and let sit for about 5 minutes, tightly covered, before serving”(Martínez, 238). “This is one of the most common table sauces in the state. 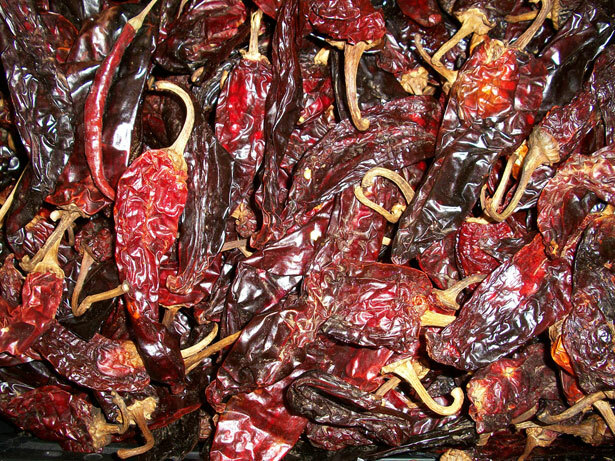 It gets its haunting flavor from the Oaxacan pasilla chile, a smoked and dried type not to be confused with the regular Mexican pasillas that come form a different chile and are dried without smoking”(Martínez, 254). A salsa is easy to make and represents Mexican and latin cuisine well. This salsa is very unique and would be a great addition to a Huertas gathering. “Place the tomatoes and chile in a small saucepan, cover with water, and bring to a boil over high heat. Reduce the heat to low and cook, uncovered, for 15 minutes. Drain and let sit until cool enough to handle. Peel the tomatoes and remove the stem from the chile. Place the tomatoes and chile in a blender with the onion, garlic, and oregano. Process until smooth. Season with salt to taste. The sauce will keep in the refrigerator, tightly covered, for up to 2 days”(Martínez, 254). 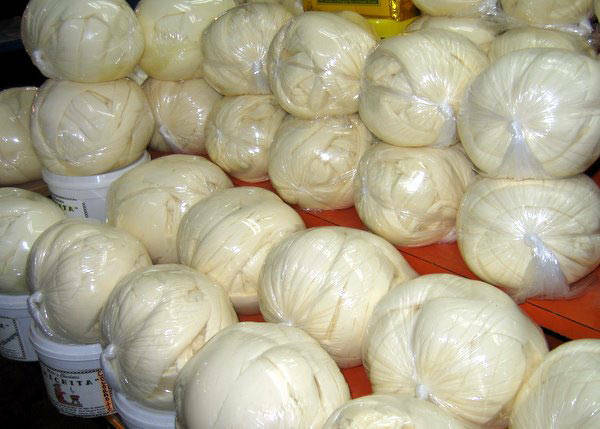 “This is one of the standard snacks found at Oaxacan City food stands and restaurants”(Martínez, 131). “Place the dried chile in a small bowl and cover with boiling water. Soak for about 20 minutes. Drain well. Coarsley chop half the onion and place in a blender with the drained chile, garlic, avocado leaves, beans, and a little of the bean liquid to facilitate blending; reserve the rest. Stir in ½ teaspoon salt, or to taste. In a small saucepan, heat the lard to rippling over medium heat. Add the puréed bean mixture and cook, stirring constantly, for 2 minutes. Gradually stir in enough of the reserved bean cooking liquid to thin the mixture to the consistency of heavy cream. Bring to a boil, reduce the heat to the lowest possible setting, and keep warm, stirring occasionally, while you make the relish. Mince the remaining half onion. In a small bowl, combine with the vinegar, oregano, and remaining ½ teaspoon salt, or to taste. Set aside. In a small skillet just large enough to hold a tortilla, heat the oil until rippling over high heat. Fry the tortillas, one at a time, about 30 seconds. Lift out onto paper towels to drain. Fold each into quarters while it is still hot enough to be pliable; dip into the hot bean purée and place on a platter. When all are done, sprinkle with the onion mixture and the crumbled cheese. Serve immediately”(Martínez, 131). Additionally, below is a link to a great recipe for tortilla soup. This is a traditional mexican dish and with the apprpriate herbs and vegetables, can be made authentically. 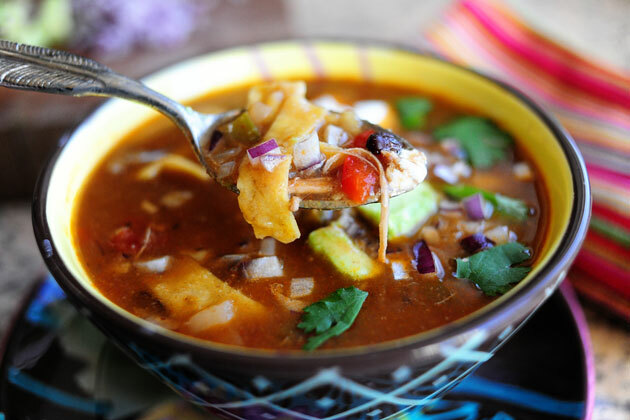 Input from farmers and collaboration within the group could help make the stewing of this tortilla soup a fun and delicious gathering. Martínez, Zarela. The Food and Life of Oaxaca, Mexico. New York: Macmillan Publishing, 1997. Print. Categories: Culturally Relevant Food | Permalink. The longstanding mission of the Farmworker Association of Florida (FWAF) “is to build power among farmworker and rural low-income communities to respond to and gain control over the social, political, workplace, economic, health, and environmental justice issues that impact their lives” (floridafarmworkers.org). The FWAF has done just that. The FWAF began in 1986 and expanded statewide in 1992; today, the organization has more than 8,000 member families and five locations throughout Central Florida. For over 25 years, the FWAF has worked diligently to secure social, economic, and environmental justice for Florida’s vast farmworker population. The organization has numerous projects addressing such issues as worker justice, immigrant rights, and health education: “Through education and community organizing, the FWAF works to improve farmworkers’ health, working conditions, and access to quality health care; raise awareness of the harmful effects of toxic pesticides; and influence policy related to health and safety protections for farmworkers” (floridafarmworkers.org). In addition to the social, economic, and environmental changes that the FWAF has been able to implement throughout Florida, the organization has also addressed issues of food security, issues that far too often affect the farmworker community. In 2011, the FWAF developed a community garden project in Fellsmere, an area devastated by hurricanes in 2004. 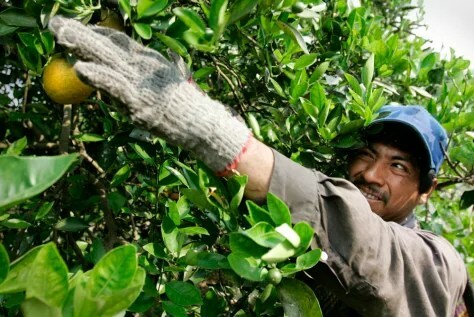 An overwhelming majority of families in Fellsmere, a landscape covered in citrus groves, are employed as farmworkers in the citrus industry, in the groves and packing houses. Composed of both documented and undocumented workers, Fellsmere is similar to many other farming communities; however, the community also consists of mainly established families. Many own their own homes and have children enrolled in local schools. The Fellsmere garden, founded on city owned property, provides the community with not only fresh foods to eat but also a growing sense of accomplishment and a place of relaxation. Currently, the garden is providing the community with numerous fruits and vegetables, some of which include: cilantro, romaine lettuce, radishes, sweet potatoes, collard greens, beans, corn, and tomatoes. Additionally, the garden hosts a special section for herbs, a small house in which to store seedlings, and a water pump. The garden is becoming an increasingly popular community project, “Area ranchers are offering free cow and horse manure to use as fertilizer on the newly developed raised beds. And, community members are learning to convert their household food scraps into compost for the garden” (floridafarmworkers.org). Additionally, volunteers, such as those from YAYA, the Youth & Young Adult Network of the National Farm Worker Ministry, have contributed to the success of the Fellsmere Community Garden through assisting with clearing, weeding, and planting. Although a work in progress, the Fellsmere Community Garden, is a thriving symbol of the community in which it feeds. According to Angela Smith, “Food grown in the first garden by about a dozen families over the past two years has helped supplement meals for them as well as numerous needy families around the city” (www.tcpalm.com). The Fellsmere Community Garden is the pride of the community, a success story of a farmworkers becoming empowered and taking control of their situation. The Fellsmere Community has quickly become a place of togetherness and collaboration, a place for not only fun but also education. Thus, it should come as no surprise that the project has expanded. In 2012, in an effort to provide more families with nutritional food options, the FWAF started another community garden in Fellsmere. The second garden, situated in a once vacant lot, will provide food for more local families this coming spring. Additionally, the new garden will have a section specifically for the students of Fellsmere Elementary School. The Fellsmere Community Garden project may only be in its infancy, but offers both hope and insight into how a community supported garden project can quickly thrive. For some pictures and more insight into the many ways in which the FWAF is working to make a difference in the lives of farmworkers, check out the organization’s Facebook page: https://www.facebook.com/pages/Farmworkers-Association-of-Florida/178528631690! In addition to almost all of the vegetables and fruits we are used to here in Vermont, there are some estranged plants that seem important to Mexican cuisine. It is important to note that not all of these plants may be able to grow in Vermont given the climate, but further study will reveal better detail on that matter. Below is a better understanding of the many ingredients that make up the diversified and differing cuisines of Mexico. fragrant wrappers for fish either steamed or grilled. Also used as for flavor in Mole Verde. Used as a tamale wrapping as well as with chicken and shrimp dishes. 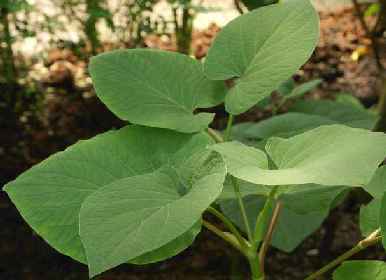 It is also used medicinally to cure inflammations, stomach cramps, and skin irritations. used to make candy, drinks, and a special mole. 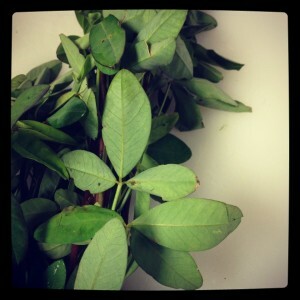 leaves used to add flavor to black beans, in quesadillas. 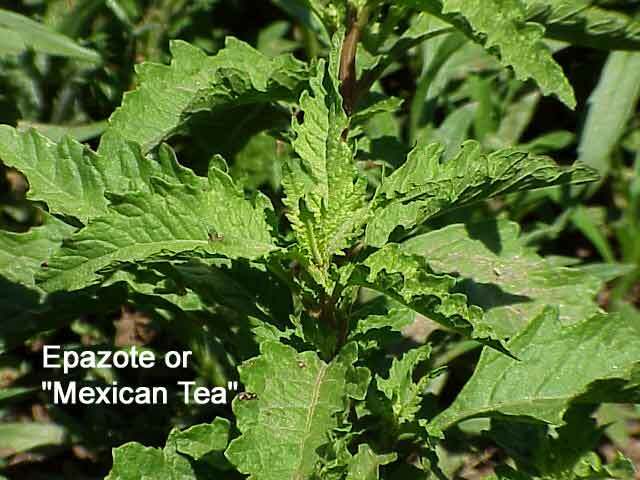 Used as an herbal medicine to cure insect bites. lentil like legumes that are used to flavor stews. Important to cuisines of Puebla and Oaxaca. herb commonly added to beans and rice. have licorice-like aroma which help to add flavor to soups, chicken and fish dishes, as well as beans. used to wrap tamales to be steamed. Anís (Anise): indispensible ingredient in many moles. Te límon (lemon grass): used in novelle Mexican cuisine and a popular tea. Graber, Karen. 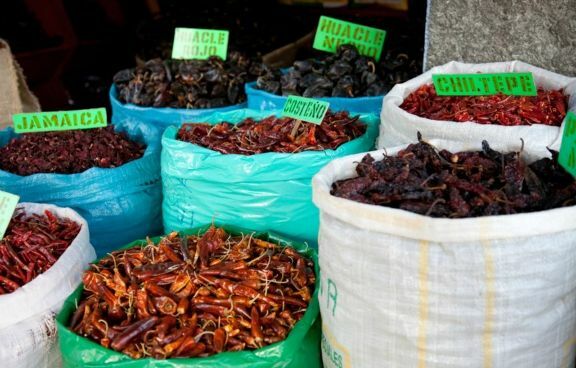 “A culinary guide to Mexican herbs: Las hierbas de cocina.” Mexconnect. Mexconnect, 01 Apr 1999. Web. Web. 18 Mar. 2013. Botanical Garden Press. 20.1 (1966): 6-16. Web. 18 Mar. 2013. Nuestras Raices, Spanish for “Our Roots” is “a grassroots organization that promotes human, economic, and community development in Holyoke, MA, through projects related to food, culture, and the environment.” Centered on Holyoke’s Puerto Rican population, they are a leader in “agri-cultural” development, in that they advocate an urban agricultural movement in their city within the realm of their cultural backgrounds. Although principally a gardening program, Nuestras Raices is multifaceted and addresses a diverse array of food systems issues. In addition to a vast network of community gardens, the organization also operates a 30 acre inner-city farm, funds environmental policy initiatives, holds a youth organization, and acts as a community gathering place to exchange ideas and celebrate Latino culture. From the onset of Puerto Rican migration, community gardening was a strong part of the city’s culture to both sustain their cultural upbringings and, perhaps more importantly, to survive on a limited income. This movement became even more vital as the economy was in decline, but with a lack of a central organizing unit, gardens were small-scale and did not generally last that long. However, Nuestras Raices has brought Holyoke’s gardening movement to an entirely different scale and has instilled hope in an economically depressed community. As may be expected in the Five-Colleges region, Nuestras Raices was founded with the help of Hampshire College student, Seth Williams. In 1991, Williams was working on a community gardening thesis and partnered with interested members in the Holyoke community. He worked with gardeners and community members to find land, water, and tools to replace gardens that were lost due to city development. Inspired by Williams, community garden members founded Nuestras Raices in 1992 to help keep the gardening movement alive. Today, the organization has expanded to include 10 community gardens, over 100 member families, and a 30 acre inner-city farm. Additionally, the nonprofit has initiated community organizing initiatives that have worked to address a number of social and environmental issues in the city and even operates a homeless shelter. As of 2008, Nuestras Raices was operating on an $800,000 budget, a tribute to its success and influence. Nuestras Raices’s first project was the conversion of an abandoned lot in South Holyoke. Initially, the space was filled with trash and was a common place for both drug trade and drug activity, clearly evident by the disposal of used needles on the lot’s grounds. However, a small group of social-environmental activists transformed this lot into a vibrant community garden, which sparked interest throughout the city. As more gardens were being established, they joined the Nuestras Raices network. Having access to a centrally unified group allows Holyoke community members use the Nuestras Raices network to form connections with one another and discuss pertinent social, political, environmental, and economic issues that the city and its residents face. Nuestras Raices responds to these discussions with action, and has been able to initiate and aid many projects, some of which are completely unrelated to their gardening project. Furthermore, Nuestras Raices’s projects have made Holyoke a more desirable place to live, evidenced by a higher sense of Holyoke pride, an increase in property values, an increase in air quality, and an increased sense of community. The design of Nuestras Raices encourages community connections in Holyoke in several ways. For example, Nuestras Raices takes on an intergenerational model of development. They believe that “intergenerational connections are strengthened when children, teenagers, adults, and elders are able to partake in a common project and learn from one another.” As stated earlier, most of Holyoke’s elder population migrated from rural farming communities in Puerto Rico, so the elders are teachers to the youth on how to farm, as well as how to use fresh produce to cook Puerto Rican delicacies. Puerto Rican youth in Holyoke have been incredibly moved by the program, and many high schoolers report the desire to go into the agricultural or culinary industries after they graduate. The design of the gardens themselves also encourage family and community involvement. Each garden is unique and has its own amenities and activities to promote these values. Almost all the gardens have parks and playgrounds to entertain children as their parents and older siblings garden, and a few gardens hold annual festivals to engage the community. These festivals serve free roasted pork and chicken and offer entertainment opportunities for all ages, such as live music and activities for children. To promote youth involvement, Nuestras Raices has innovated two unique programs for passionate young activists, which work with the Holyoke Public School System. One of these programs is the Farm Apprenticeship Program. Teens in this program are paid and employed through the New England Farm Workers Council to gain experience working on and maintaining a farm. The program also offers skill building workshops and one-on-one counseling to help youth find jobs both while in high school and after they graduate. The other youth program through Nuestras Raices is the Youth Organizing Committee. This is an educational after-school program with the mission of teaching high school students about the environment, history, agriculture, and policy. Projects are diverse and engage students in both research and activism, addressing concepts such as water and air quality issues, farm-to-school initiatives, and healthier school food. The youth gather together for a monthly event, “FEEST,” to cook healthy foods together from their community gardens and discuss food systems issues. The application process for this program is competitive. Youth need to apply and undergo a probation period of twelve sessions before gaining membership. Nuestras Raices is heavily egalitarian and gives the youth in their community a high degree of trust and autonomy. Daniel Ross, the current executive director of Nuestras Raices, took on this job in 1995 at the young age of 22. He was a social activist all throughout his childhood and spent a year traveling the East Coast, working to better the lives of migrant farm workers. Due to his personal journey, empowering youth is a central value of Ross. Testament to this value, Atlantic reporter, Colby Kummer, actually received his tour of the community gardens and much information for his report about the organization by two 15-year-old boys, rather than an adult member. Nuestras Raices also has initiatives to not only feed its community and gather its community together, but also to expand economic opportunities for its community members. For example, the organization operates a 30 acre inner-city farm, La Finca. La Finca was born out of a community planning process in which community members expressed a desire to not only grow their own food to sustain themselves nutritionally, but also to make a profit and sustain themselves economically. With assistance through a state grant, the City of Holyoke, and Nuestras Raices’s operating budget, an urban farm was established in 2002. Central to La Finca is a farmer training program, Land of Opportunities. The mission of Land of Opportunities is to provide its participants with the necessary capital, knowledge, and connections to own their own small farm. Participants in the program rent small plots of land, between 1/8 and 1 acre, and are provided with access to an array of resources, such as connections to acquire small loans, an extensive training program, shared resources among the community, and market assistance. La Finca serves other community benefits as well. It’s a central gathering point to celebrate Latino culture and hosts numerous festivals. When older residents visit, they report, “It feels like Puerto Rico!” The farm is also home to an extensive array of small businesses, which accommodates both area residents and visitors to the region with a slew of options to enjoy their day visiting the farm. These businesses include The Paso Fino (Fine Step) Horse Barn, The Petting Zoo, The Farm Store, The Lechonera (Pig Roast), and many greenhouses. In addition to the gardening program, the farm, and the youth program, Nuestras Raices is also heavily focused on environmental justice and facilitates projects to make Holyoke a more sustainable community. Beginning in 2007, members of Nuestras Raices, including many youth, spent two years researching and identifying environmental risks to community health. After this extensive process, they decided to focus on three main issues: indoor and outdoor air quality, asthma, and community health; land use and garbage disposal; and water quality and fishing in the Connecticut River. In 2009, they sent a proposal to the EPA CARE Program (Community Action for a Renewed Environment) and received a level 1 grant to fund their initiatives. They use this grant to fund sustainable practices and offer regular environmental workshops, free to the public, to educate community members on how they can lower their carbon footprint and live more sustainably. Nuestras Raices is a highly successful non-profit organization addressing environmental, social, and economic issues in its community. Huertas is fortunate to have a similar initiative so close to home, and would greatly benefit by reaching out to Nuestras Raices in its quest to expand upon its small and underfunded program. Just like Huertas is moving forward through the help of UVM extension, Nuestras Raices initiated through an academic connection as well. Although the population Huertas addresses is arguably in a more marginalized position due to citizenship status and isolation in rural locales, I am confident that Huertas can learn something from Nuestras Raices and possibly even use them as a resource in moving forward. Nuestras Raices Home. Network Solutions, n.d. Web. 15 Apr. 2013. <http://www.nuestras-raices.org/&gt;. Kummer, Corby. “A Papaya Grows in Holyoke.” The Atlantic 1 Apr. 2008: 1-2. The Atlantic. The Atlantic Monthly Group. Web. 15 Apr. 2013. <http://www.theatlantic.com/magazine/archive/2008/04/a-papaya-grows-in-holyoke/306702/&gt;. Two weeks ago, I discussed numerous factors that lead to food insecurity among migrant farmworkers in the United States. Not only is it very important to understand the various barriers to obtaining food, but it is also crucial to recognize the health implications that result from significant food insecurity as it is clear they are closely related. Low incomes and lack of money, infrequent consumption of nutritious fruits and vegetables, insufficient time to prepare meals due to long work days, communication barriers, and the uncertainty of trying new foods are all contributors to nutritional inadequacies and other related health problems. Some of the most commonly reported deficiencies are of calcium, riboflavin, vitamin A, and vitamin C. Other nutritional inadequacies include: thiamin, niacin, B6, folate, phosphorous, zinc, and fiber. Calcium and riboflavin deficiencies are often due to an inadequate consumption of dairy products whereas vitamin A and vitamin C deficiencies are caused by a low consumption of fruits and vegetables (Essa 2001: 22-23). Perhaps what’s most important to recognize here is that the nutritional inadequacies migrant farmworkers experience in the United States were never a previous concern because traditional diets provided adequate sources of nutrients (Essa 2001: 19). Therefore, it is evident that the incidence of nutritional inadequacies is also caused by a lack of knowledge regarding common foods present in the United States. Prolonged nutritional inadequacies can have a detrimental effect on one’s health. With a diet such as this one, obesity, diabetes, and heart disease all become common health concerns. Even when considering the high amount of physical activity farmworkers exert throughout the day, “the excess of unhealthful food often rich in fats, proteins, and carbohydrates puts migrant farm workers at risk for other nutrition-related diseases” (Deza 2006: 55). Despite high rates of nutrition-related diseases among migrant farmworkers, they do understand the importance of having a balanced and healthy diet. In a study examining components of health and well-being among Hispanic migrant farmworkers in Pennsylvania, there was an overwhelming support for instituting nutrition education classes. Participants advocated for classes to include information on “nutrition, food safety, and diet-related health issues, including diabetes, obesity, and high blood pressure” (Cason et al 155). They were also interested in learning how to use American foods because most of it was foreign to them. But most of all, having culturally appropriate information and having lessons taught in Spanish were great concerns these migrant farmworkers expressed. Cason, Katherine, Sergio Nieto-Montenegro, and America Chavez-Martinez. “Food Choices, Food Sufficiency Practices, and Nutrition Education Needs of Hispanic Migrant Workers in Pennsylvania.” Topics in Clinical Nutrition (n.d.): n. pag. National Center for Farmworker Health. Deza, Abel C. The Health and Nutrition of Migrant Farm Workers in South Carolina. Thesis. Clemson University, 2006. Essa, Jumanah S. Nutrition, Health, and Food Security Practices, Concerns, and Perceived Barriers of Latino Farm/industry Workers in Virginia. Thesis. Virginia Polytechnic Institute and State University, 2001.